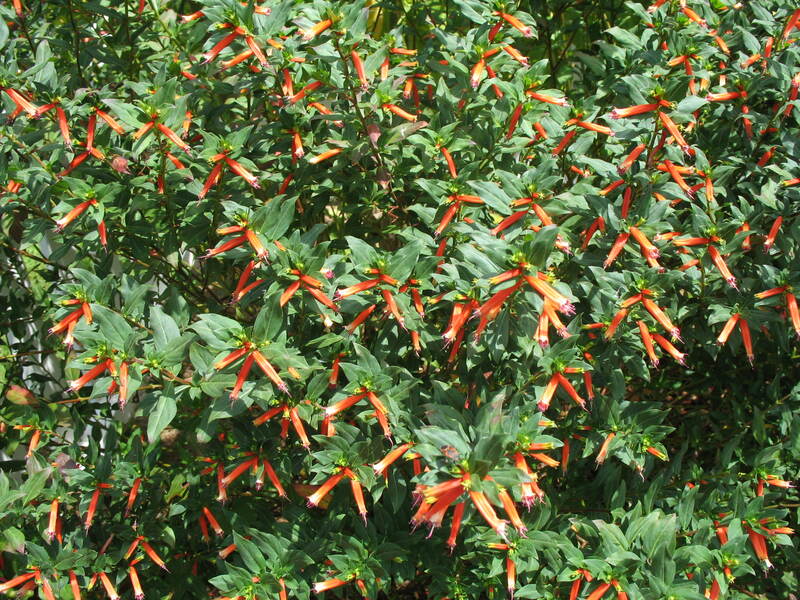 Comments: A large growing cuphea that flowers in spring, summer and fall. Can be killed to ground level in zone 8, but will come back in spring. Mulching in late fall will protect the root system over winter. Plant in a sunny site with well drained soil. Cannot tolerate cold, wet soils. Fertilize two or three times during the summer months. Plants purchased in four inch containers in early spring will double their size several times by late fall.